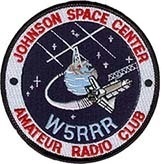 W5RRR-R antenna and John Maca (AB5SS). The JSCARC supports an open 2 meter repeater (146.64r/.04t – tone 123.0 Hz). 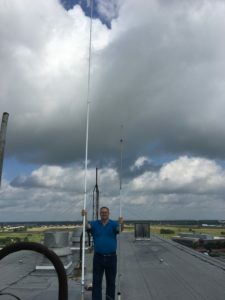 The repeater is located in Building 1 at the Johnson Space Center with the antenna on the roof of the building’s equipment room at about 90 feet high. The repeater equipment is a Yaesu DR-1X with a power output of 20 watts into a Diamond X700HNA antenna, providing an effective radiated power (ERP) of 95 watts. 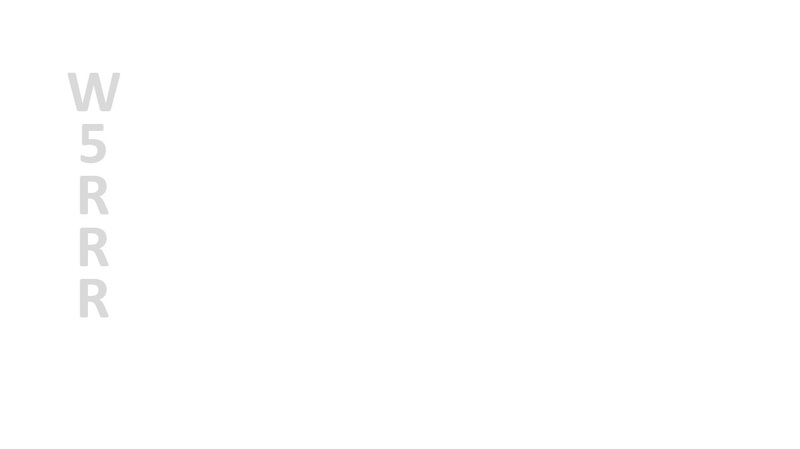 The repeater has a coverage radius of approximately 30 miles (downtown Houston—downtown Galveston). The repeater has survived hurricanes, tropical storms, and numerous Texas-sized thunderstorms. It has a back-up battery system designed to provide repeater operation for at least 36 hours. Because of the repeater’s wide-area coverage of the NASA-Clear Lake area and the JSCARC’s commitment to fulfill its public service obligation, the repeater is frequently used to provide communications for the many and varied public service events.